Battlefield hikes are always some of my favorite. The open vista walks are a constant source of scenery (as opposed to the normal “wait-for-it” hike to the peak or overlook), and as a birder, the meadow habitats attract a plethora of songbirds, raptors and other wildlife. A recent visit to Manassas National Battlefield only reinforced this appreciation. Walking the now quiet site of two distinct and pivotal civic war battles, it is hard to imagine you are walking through the scene of such fierce fighting or that you are today only a few miles from the bustle of the Nation’s Capital. As a generally flat landscape with trails across open meadows, through woods and along Bull Run, it is a great walk for kids and dogs that enjoy the opportunity some open space to run. You can build a hike using many of the trails that cross the various fields, but the First Manassas Trail offers a tidy 5.4 mile loop which takes in the most iconic sites such as the Stone House and Stone Bridge. This is also a great morning hike to open a day of wine tasting by catching Route 66 West and stopping in at Naked Mountain Vineyard, Barrel Oak Vineyard, or other Regional Virginia Wineries. 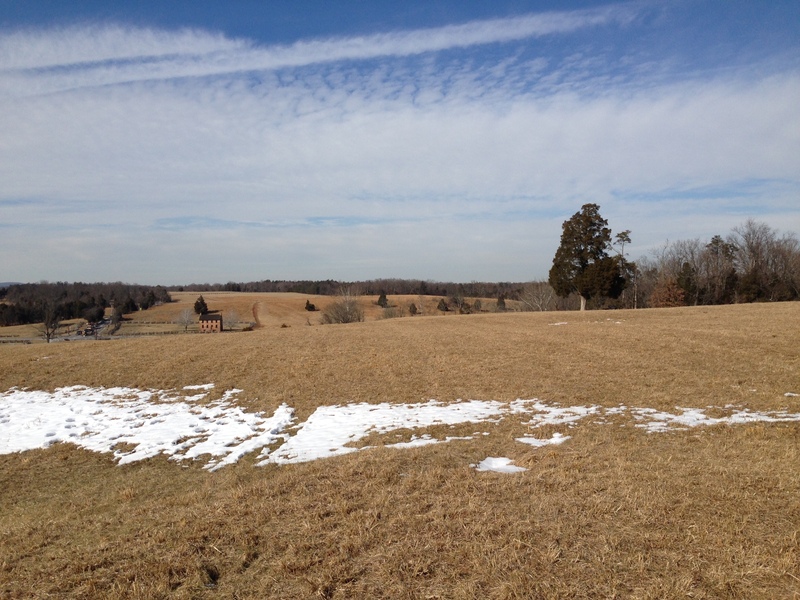 This entry was posted in Uncategorized and tagged Manassas Battlefield. Bookmark the permalink.